UPDATED: Fans from the prime minister to fellow entertainers were mourning the death over the weekend of Rolv Wesenlund, widely hailed as one of Norway’s most popular comedians from the 1960s through the ’90s. Government leaders accorded him the honour on Monday of announcing that his funeral will be held at state expense. “He made us laugh, and recognize characters in our own lives,” said Hadia Tajik, Norway’s government minister for cultural affairs. Prime Minister Jens Stoltenberg stressed how Wesenlund “never kicked downwards,” or made fun of folks at the expense of others, but instead “made small folks big.” Wesenlund died Saturday night after a lengthy illness, at the age of 76. As tributes rolled in throughout the day on Sunday, several remarked that “it somehow felt more natural to laugh than to be sad.” Wesenlund had that effect on many Norwegians, and was also highly popular in neighbouring Sweden for the way he often characterized Norwegians. Wesenlund came from the coastal town of Horten in Vestfold County, southwest of Oslo. He started his career mostly as a musician, playing clarinet in jazz combos and even winning competitions. He went on to be a jazz journalist for state broadcaster NRK before moving to London and working in the record business. When he moved home to Norway in the 1960s, he launched the “Bergen Beat” movement before humour took the upper hand. His success at the Oslo cabaret theater Chat Noir led to appearances on NRK, both in radio and TV. His breakthrough came with the “Og takk for det” (And thanks for that) TV series along with fellow actor and comedian Harald Heide-Steen Jr. He was perhaps best known for his Marve Fleksnes character, for one-liners that became legendary, and for his Bør Børson character among a long list of film roles. 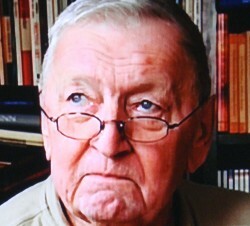 Per Haddal, longtime film critic for newspaper Aftenposten, wrote that his personal favorites among Wesenlund’s many films were Mannen som ikke kunne le (The man who couldn’t laugh) and Norske Byggegklosser (Norwegian Buildingbricks), which Haddal ranks among Norway’s funniest films ever. Some feel Norwegian humour has become much more aggressive, even mean, since Wesenlund’s prime time. He’ll be remembered for a warm, almost affectionate sort of humor that didn’t hurt others. Newspaper VG reported that Wesenlund had given his family detailed instructions on how and where he wanted he wanted his funeral to be held. Stoltenberg announced on Wednesday that the state will now cover all expenses as soon as arrangements are made.